Fabien Joly is an artisan and he’s proud of it. It says it right there, on his business card. 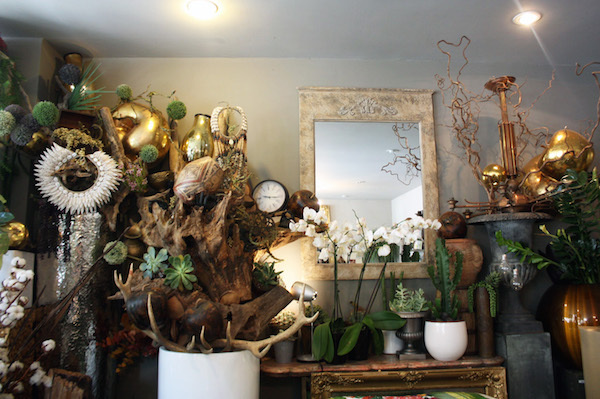 Where many other florists allow their attention to craft and quality to manifest in more implicit ways—a humble storefront, a shop overflowing with delicate bouquets, and a wary eye for those who cannot tell the difference between a true fleuriste and a mere vendeur des fleurs—Fabien isn’t afraid to proudly declare his status. It’s refreshing, especially because Fabien is younger than most propriétaires one meets. In fact, with his easy smile and graphic t-shirt, he looks more like a street artist, or even a joueur de foot, than someone who makes bouquets all day. Perhaps he takes extra pride in his craft because this was not his original path, but rather a deliberate choice. 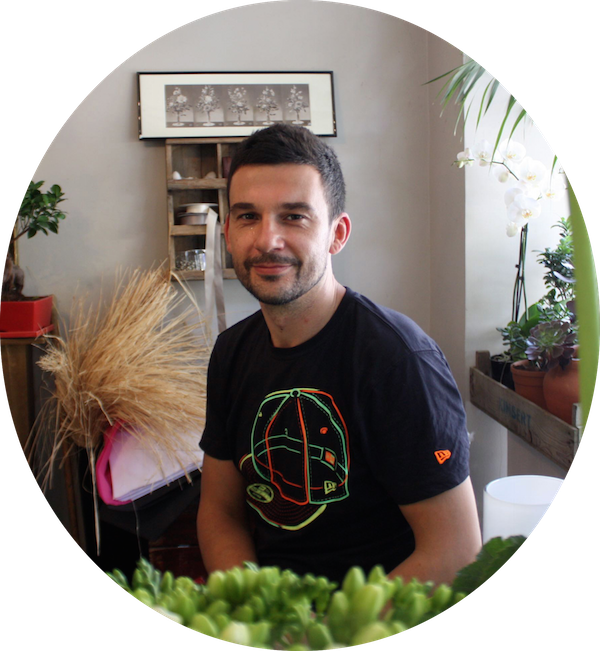 Fabien was earning his masters in sociology when he took a job with a fleuriste, and discovered his passion for flowers. He gained his diploma, but never needed to use it. 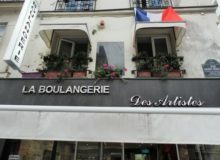 He’s been pursuing this métier for the past 15 years, and now, after opening his boutique Monceau Fleurs on Rue Monge—a stone’s throw from the Arenes de Lutece, the Jardin des Plantes, and even Notre Dame—there’s no need to look back. Inspired by Fabien’s story, we at MyFrenchLife™ were delighted to have had the chance to speak with him and are excited to share his story with you. 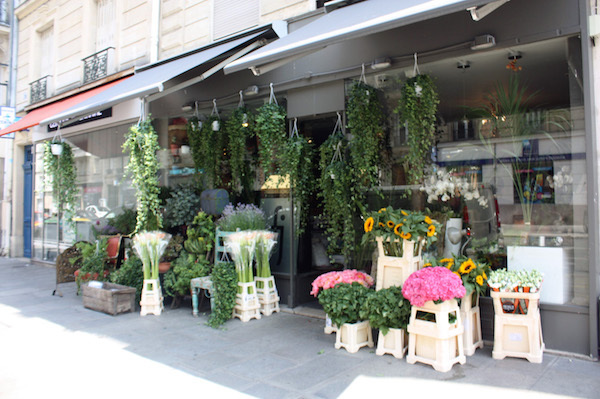 Meet an artisan florist in Paris. I’m interested in how your shop got started. How long has it been here? Six years. I opened six years ago. And why flowers? Was being a florist a family tradition, or is it an individual passion? Yes, a passion. It’s not a tradition, but you’re right that a lot of people follow their parents into this business. But no, for me it’s a passion. Working with your hands. Transforming things, transforming things with intent. Changing basic things into beautiful things. And it always has been? For the past 15 years, yes. 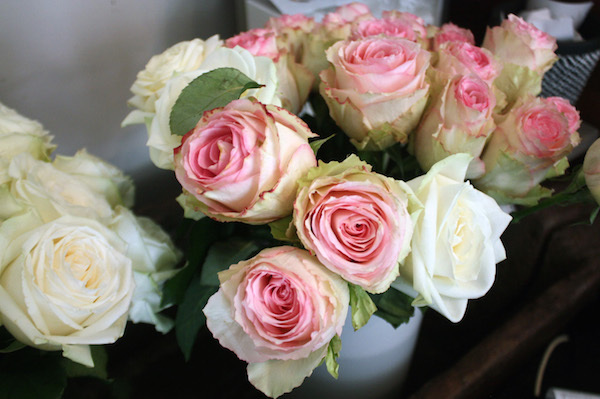 In your opinion, what qualities does a florist need to have to be successful? Have a lot of energy; be responsible. 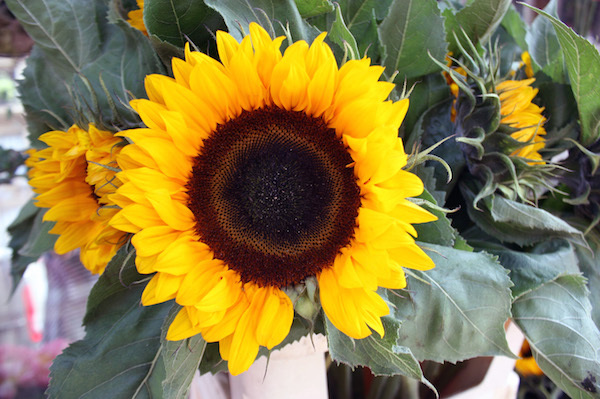 Those who work with flowers have to have a lot of energy because it’s physical, it’s true. Love flowers, obviously. It’s really important to love what you do, no matter what it is. Have good taste, as well, for making beautiful things. And if you have taste, be creative with it. And does that depend on the season? Yes, it depends. 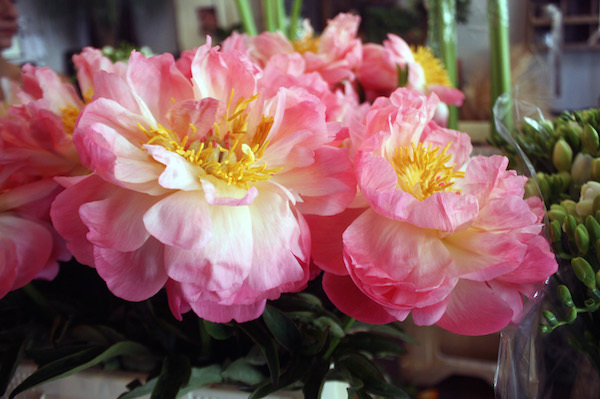 Parisians love the season of the peony (summer), and everyone loves peonies. What does the idea of “artisan” mean to you? Working with your hands. Transforming things, transforming things with intent. Changing basic things into beautiful things. 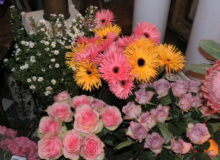 You have florists [at larger stores] with beautiful flowers, who sell them right away. But for each artisan, it’s the work, the transformation of things, because otherwise—the artisan doesn’t just sell flowers and peonies. It isn’t the selling of flowers. It’s to play, to transform, voila. Love flowers, obviously. It’s really important to love what you do, no matter what it is. And did you formally study to be a florist? No. I did a master in sociology and I was at a university for four years trying to get a diploma. But not to become a florist. I started to work like this when I was a student. 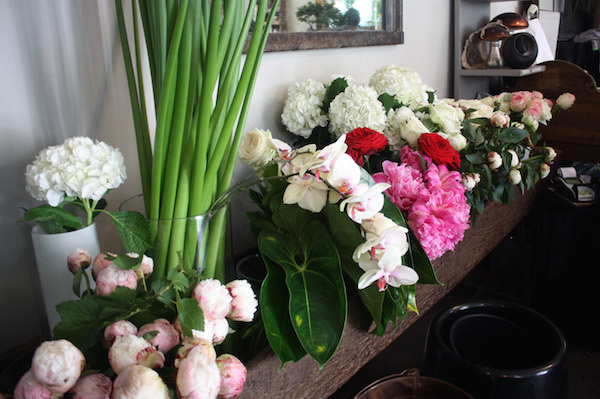 I worked one time in a shop with a florist, and I liked it, and after I continued. I stopped university and I got a new job, a new path. That’s the reason why it’s a passion. And do you like working in this neighborhood in particular? Yes. Because the Latin Quarter, it’s the old Paris with very, very beautiful streets and very, very beautiful houses. Next to here, there’s the Arenes de Lutece, the Jardin des Plantes too. It’s a really pleasant neighborhood. 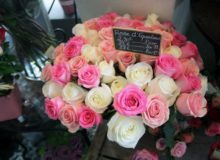 What did you find most interesting about Fabien’s story of FJ Fleuriste? Share your thoughts in the comments below! 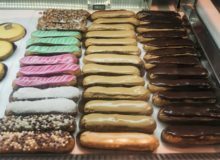 I loved this story about le flueriste Fabien. I too discovered my passion for flowers by a chance métier in a flower shop many years ago. 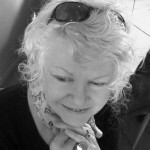 I am now a florist working in Melbourne and dream of one day working with flowers in France. I don’t just want to sell flowers, I love to create with my hands and my heart and change beautiful fleurs into beautiful creations.